Herbert G. Dorsey III has been researching secret societies, particularly the New World Order since President George H. W. Bush referred to it in several speeches in the early 1990s. The result of his research is published in his book The Secret History of the New World Order. 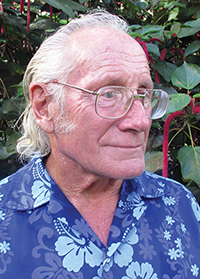 Herbert Dorsey also has an electrical engineering and physics background and has published several books on secret science and secret space programs. 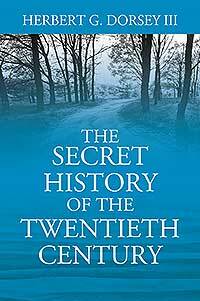 Discover the History Which Has Been Hidden by Powerful Secret Societies. Accepted History tells us that Nazi Germany was defeated at the end of World War II. In fact, most of the Nazi leadership, including Adolf Hitler and Martin Bormann lived on long after the war. Through secret assistance from powerful industrial lovers of fascism in the United States, superior technology, and secret underground bases, the Nazis gradually gained control over the levers of power and won a quiet victory over the United States by 1960. This was the reason behind both President Eisenhower’s warning about the undue influence of the Military Industrial Complex in his farewell address and the later assassination of President John F. Kennedy. It also explains all the unnecessary wars the U.S. has been involved with and the growing police state in a once-free nation. Other great secrets kept from the public include the government’s secret involvement with extraterrestrial civilizations and secret space programs which are already secretly colonizing the planets and moons of our solar system.